This talk, from the monthly (3rd Sundays, 3pm) interfaith services at Pitt Street Uniting Church in Sydney, led by Reverend Dr Stephanie Dowrick, takes us to the personal heart of living peacefully and happily. 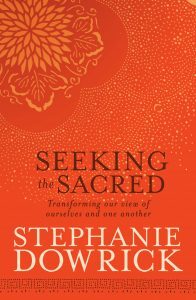 Stephanie pays particular attention to unnecessary suffering…and how to avoid it. She draws upon her deep understanding and appreciation of the Four Noble Truths – and while this talk is a little longer than most on our YouTube channel, it is worth the extra minutes to honour the Buddhist and universal wisdom that inspired it. You are welcome to comment on Stephanie Dowrick’s Facebook page.